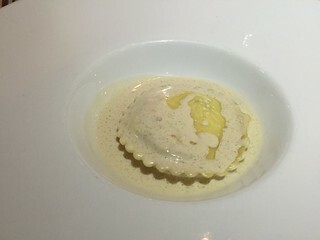 I can see why pasta is one of their specialities because the ravioli nearly melted in my mouth. 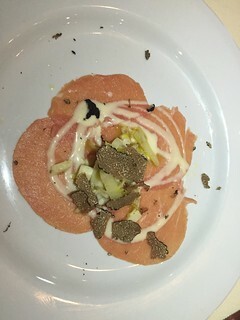 I thought that adding prosciutto di Parma and quail eggs was creative. 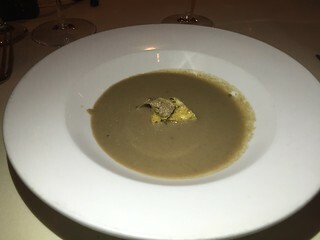 Topping it with Fontina sauce and truffles increased the wow factor for me. I think risotto and shellfish is a natural pairing and I’m happy when I have a chance to enjoy this. 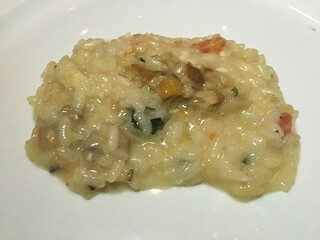 Celestino combined their risotto with clams, porcini mushrooms and truffles. The risotto was extremely creamy and delicious. 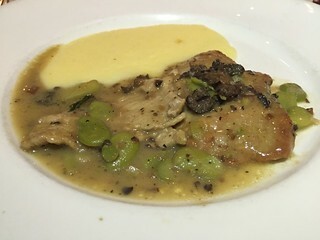 Veal Scaloppine with porcini mushrooms and truffles was the final savory dish that evening. I thought the porcini sauce was extremely tasty. 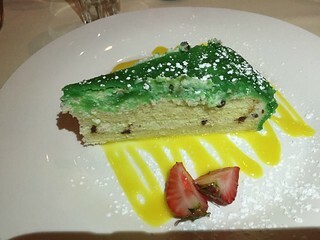 Dessert was an interesting Sicilian sponge cake. This was made with mascarpone cheese and fresh fruit. 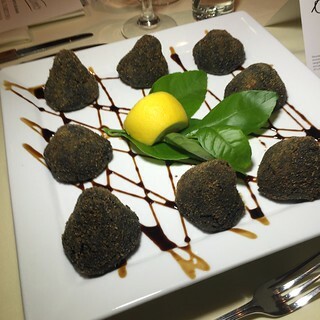 Celestino is just one of many fine Italian restaurants that are participating in this year's Taste of Italy. Other restaurants include Bar Toscana, Valentino, Drago Centro, and many more alongside fine food purveyors like Urbani Truffles, DiStefano Cheese, Prosciutto di Parma, and many wineries. Gourmet Pigs readers can take advantage of an online discount. Enter GPIG5 for a $5 discount off of the General Admission price or GPIG20 for a $20 discount off of Premiere Admission.